Clinical embryology is a relatively young branch of reproductive science that has undergone enormous expansion over the last twenty years. Louise Brown, the world’s first ‘test tube’ baby, was born in 1978 as a result of pioneering research carried out by a team of British clinicians led by Patrick Steptoe and Robert Edwards. 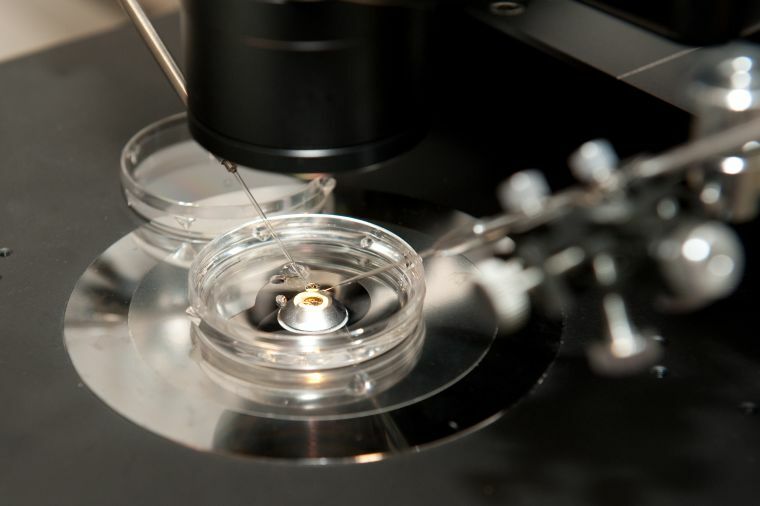 Since then, infertility treatment has undergone phenomenal development and become a highly specialised field involving a multitude of interventions known collectively as assisted reproductive technology (ART). Worldwide, approximately one million ART treatments are now performed each year and over five million ART babies have been born. However, a major concern is that there are too few appropriately trained clinical embryologists, both within the UK and throughout the rest of the world, to maintain this pattern of growth. In addition, the field of clinical embryology is becoming ever more closely regulated, with greater emphasis on quality assurance. Meticulous training of new personnel in theoretical knowledge and practical skills is therefore critical to future advancement and ensuring patients consistently receive the best care. In response to these concerns, the University of Oxford has developed an intensive, one-year, residential, taught MSc in Clinical Embryology. Our intention is to inspire, motivate and train a network of future leaders in clinical embryology throughout the world. Our MSc course provides students with theoretical and practical understanding of human reproductive biology, embryology, infertility and ART. The course includes the very latest developments in ART including legislation, ethics, and quality management. Significant emphasis is placed upon continuing professional development and acquiring valuable transferable skills. To this end, our MSc course includes a considerable laboratory practical component. Our students learn skills and techniques directly relevant to ART, as well as a range of ‘traditional’ and ‘cutting edge’ scientific techniques and procedures. A particular strength of our programme is the fact that each of our students is individually trained in gamete manipulation/injection and infra-red laser embryo biopsy. For this purpose, students use gametes and embryos acquired from a variety of mammalian (e.g. human, mouse, cow) and non-mammalian (e.g. zebrafish) organisms. Our MSc programme prepares students for active employment within the clinical embryology/ART sector and/or a research career in reproductive science. As the course was designed in response to identified employment needs, our graduates are highly sought after. In particular, we expect our graduates to possess sufficient knowledge and skills to allow them to make a significant contribution to the design and establishment of new in vitro fertilisation (IVF) units, which need to incorporate the latest techniques and conform strictly to current legislation. Every year, we also encourage exceptional graduates to apply for prestigious scholarships in order to undertake a DPhil (Oxford equivalent of a PhD), either within the Department or the wider University. See our current DPhil students here. Once enrolled on the MSc programme, you will be allocated a Departmental Mentor, who will be a senior member of the clinical, scientific or research staff. Your Mentor can provide individual support and guidance throughout the course. You will also become a member of one of Oxford’s historic and prestigious colleges and be assigned a College Tutor. This level of individual support is a prominent and highly acclaimed feature of the University’s environment and will provide the support necessary for you to achieve maximum benefit from your studies.